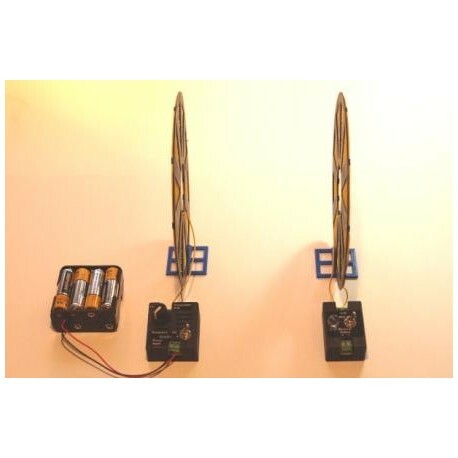 The TWP kit contains a 2.5Watt ouput power adjustable frequency transmitter, power receiver, 2 high Q spiral coils,2 coil supports, 2 matched capacitors, antenna/plate system for range extension, 12V "AA" battery holder and users manual. 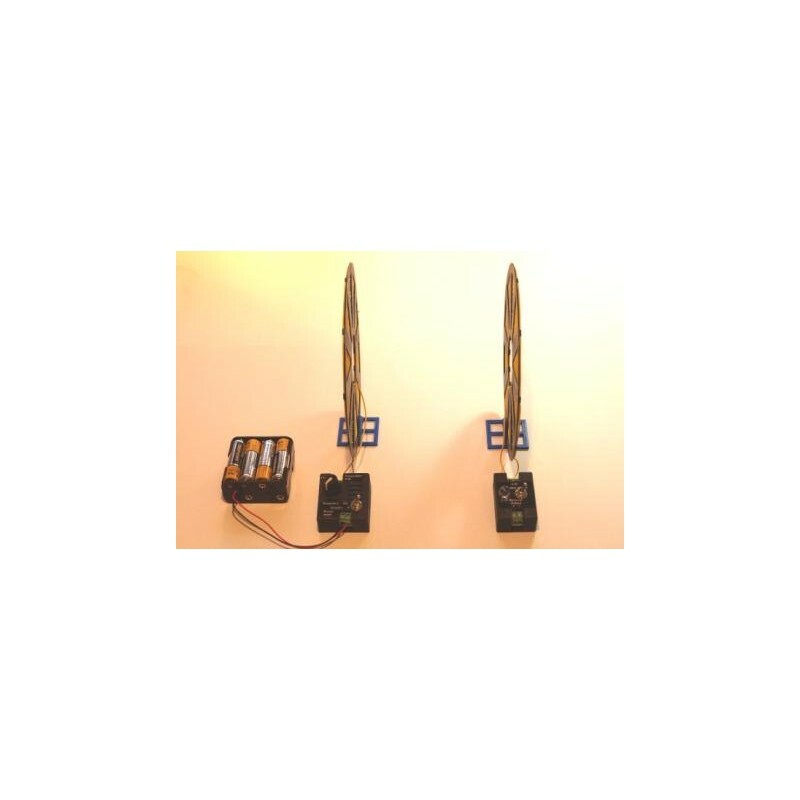 The kit is pre-assembled in the basic configuration and includes a built in high intensity yellow LED for output monitoring. Requires 8 "AA" batteries (not included).